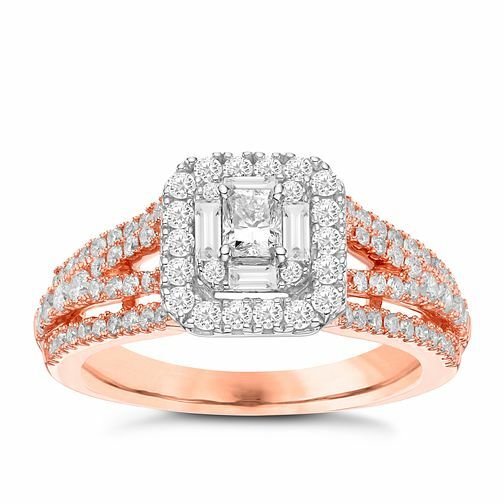 A stunning piece, this 18ct rose gold ring features three layers of diamonds, subtly stacked in a halo outline. The spilt shoulders of the ring are adorned with delicate diamonds and feature a hidden diamond within. Total diamond weight 1ct.